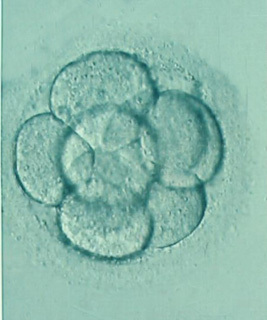 Matheus Roque, M.D., Karinna Lattes, M.D., Sandra Serra, M.Sc., Ivan Solá, B.Psych., Selmo Geber, Ph.D., Ramón Carreras, Ph.D., Miguel Angel Checa, Ph.D.
To examine the available evidence to assess if cryopreservation of all embryos and subsequent frozen embryo transfer results in better outcomes compared with fresh transfer. An exhaustive electronic literature search in MEDLINE, EMBASE and The Cochrane Library was performed until December 2011. We included randomized clinical trials comparing outcomes of IVF cycles between fresh and frozen embryo transfer. The outcomes of interest were ongoing pregnancy rate, clinical pregnancy rate, and miscarriage. We included three trials accounting for 633 cycles in women aged 27 to 33 years. Data analysis showed that FET resulted in significant higher ongoing pregnancy rates(RR = 1.32, 95% CI 1.10 – 1.59) and clinical pregnancy rates (RR = 1.31, 95% CI 1.07 –1.52). Our results suggest that there is evidence that IVF outcomes may be improvedby performing FET compared to fresh embryo transfer. This could be explained by a betterembryo-endometrium synchrony achieved with endometrium preparation cycles.